From hitting sixes on the ground to now swiping left-right on your smartphone, perhaps we’re living in the age where everything is virtual, especially games. So, how could the classic card games remain behind in becoming a mobile game for all the tech savvy people? The game which I’m going to review is one of my personal bluffing games, Teen Patti. It is quite a different one from all the standard Poker games that you’ve been mastering. It is originated in India only and has been played over centuries. Since it has been digitalized, so you can also get your hands on this gaming app, available for both Android & iOS users. 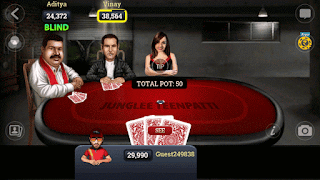 So without any further chit-chat, let’s start the review of Junglee’s Teen Patti 3D. The game is different from any typical card or poker game. Here, you play with only three cards, and your sole aim is to believe in your intuition and hold the best three-card hand till the showdown. If you’ve ever played three-card poker games, then now is the chance try out your skills for a whole new set of challenges. 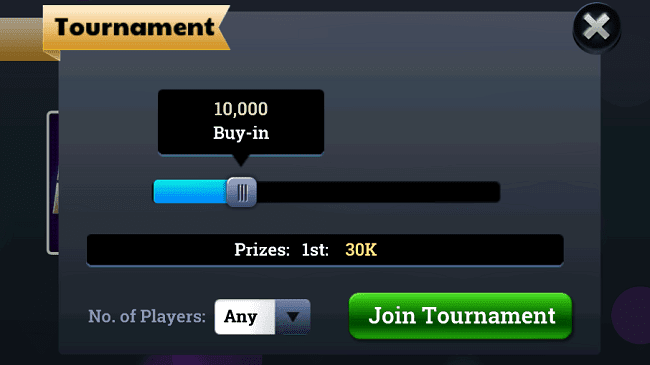 Teen Patti 3D introduces the players to classic Teen Patti, Show & Hide bluff game. The game has different across the countries, so you might be familiar with all the rules and guidelines if you’ve ever got your hands on card games. The game can be played across multiple players online and to win the game; you simply need to hold the best three cards in your hand till the showdown of cards happens. However, if the other player demands to show you hold, then the person having the strongest hand will win the game. Frankly speaking, I’ve been playing this game for months and now got to review it. So, this might be a good chance for you to decide whether start playing it or not. As I’ve already mentioned, the game is available for both Android and iOS based device. So, you can enjoy the luxury of playing the game in Smartphones, iPad, or iPod as well. Obviously, the game is free to download and play but the game currency, chips runs out faster than you expect. So to play more games, you can buy the chip packs in-app purchases starting from $1.99. However, there is no real currency involved in the game so that you can enjoy the game without any worries or tension. 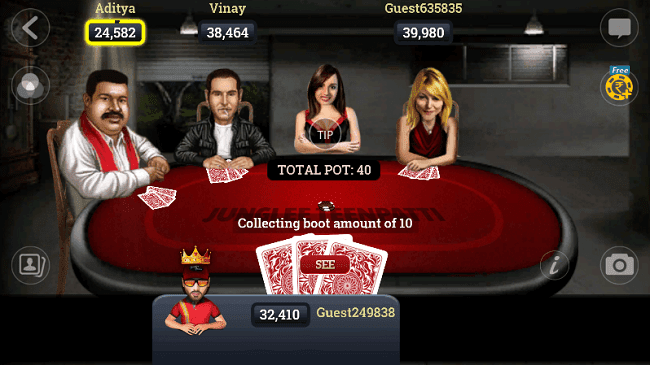 The gameplay of Teen Patti 3D makes it look like you’re playing on a casino table, with cards on your one hand and the rolling eyes of the opponents. You can also customize your player’s avatar and your username accordingly. The company has added an option to chat with the players with whom you’re playing with. Also, one can invite their Facebook friends to join the game. The more friends you add, the more virtual gifts you receive. The game has other features like a daily bonus and other versions like Royal Patti, Muflis, four cards, and even a fully-fledged Tournament. As you start to play the game and win, your profile would level up, and you can then compete with other players in the same rankings. Junglee’s Teen Patti 3D has India’s largest casino network, so you won’t struggle in finding opposing players to start a game. Also, you can jump in another game once the showcase has been done. Customizable Game Options like Avatar, etc. For me, it is a perfect time killer during those lazy Sunday afternoons, and I am sure that you’re going to love it. 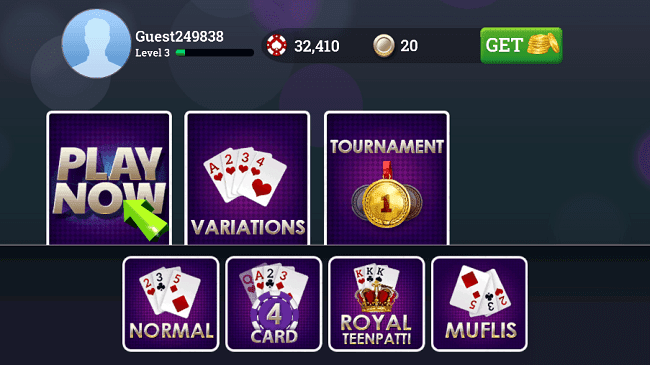 Teen Patti 3D app is available for both Android and iOS devices. Like any other card game, it’s highly addictive and could make your hours seem like minutes. So don’t overplay it. If you’re still confused that whether you should try it or not, then you should believe on the 10 million downloads of the game. It’s a great game with the interface and gameplay designed as a real card game happening on the table. You can download it easily from the respective app stores for Android & iOS. Do let me know what you think about this game and comment if you’ve won any game yet. Cheers!